All prices quoted here are in U.S. Dollars. 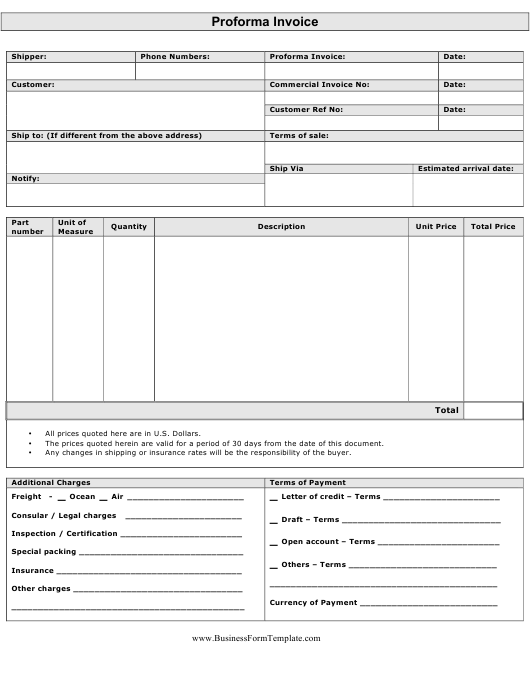 The prices quoted herein are valid for a period of 30 days from the date of this document. Any changes in shipping or insurance rates will be the responsibility of the buyer.